Harry Samuel Stevens, a tailor and a churchwarden at Pilton Church, and his wife, who was a Squire, lived at 55 Rolle Street. Here they are shown in 1948. 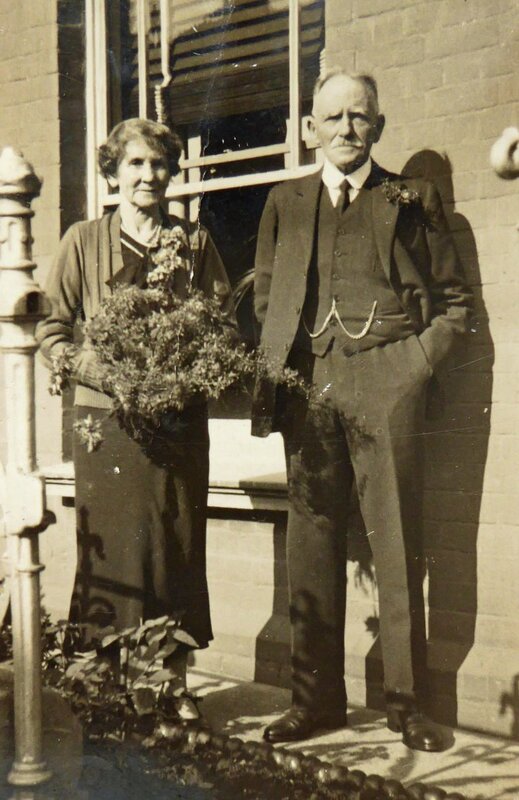 They were the parents of Herbert John Stevens, Elsie Stevens and Rose Stevens and grandparents of Eric John 'Steve' Stevens, Patricia Stevens and Jill Stevens. Thanks to 'Steve' Stevens for this photograph from his family albums and to his daughter, Anne Greenslade, for getting the names in the right generations for us.